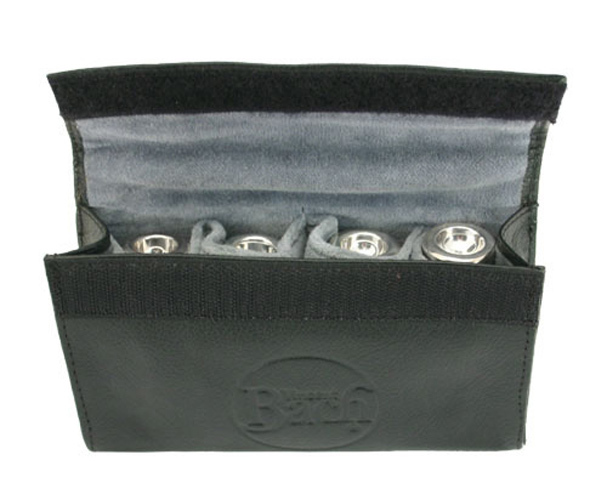 Bach quadruple mouthpiece pouch featuring the Bach logo. Made from leather with a padded inner, and belt loops on the reverse. Great pouch and slimline to perfect if you're not carrying a massive gig bag!